Looking for a gift that is unique and so appreciated ? Our men's oxford shirts for the ladies are it ! * the bride and the special members of her bridal party! ...any girl who loves to lounge in a too cute oversized shirt ! 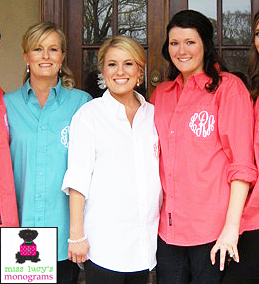 all one color....or mix colors for your special day! 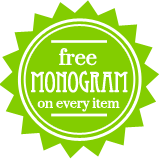 Our shirts are top quality...and, the gorgeous personalization is included in the price! 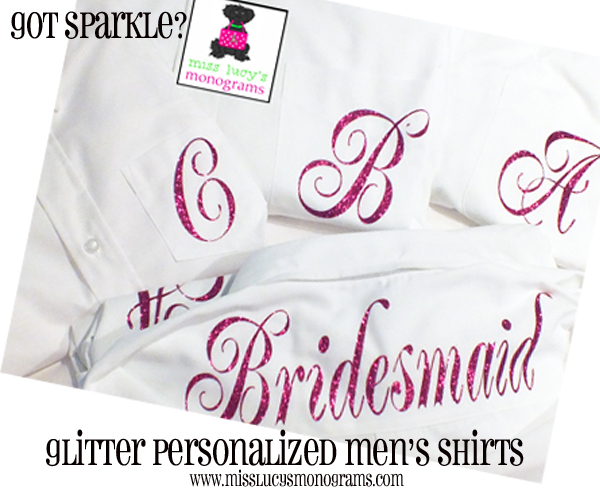 We also offer our men's shirts with stunning, bling-bling, glitter personalization as well!